Extra September - December 2018 Willow Sculpture Day dates released! Due to such fantastic demand I’m now going to be teach an extra 5 Willow Sculpture Days at Coates English Willow this Autumn. 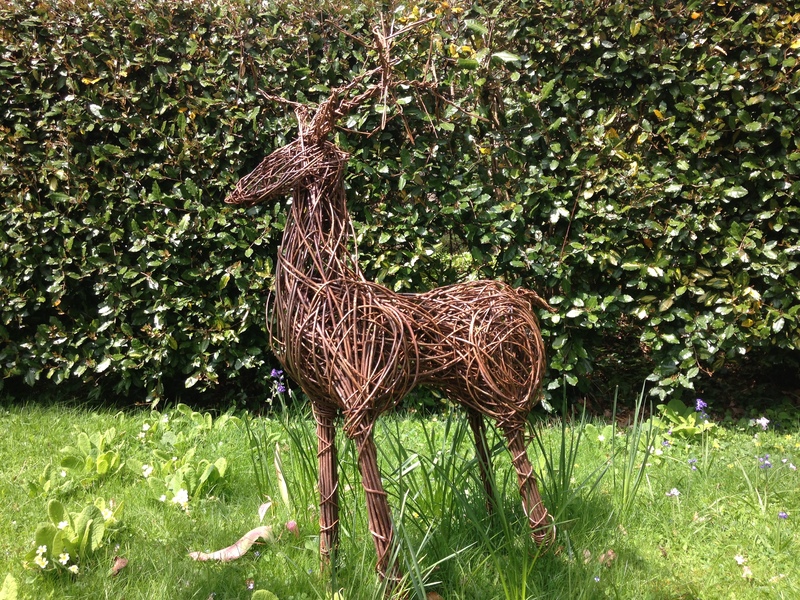 Having released my September – December Willow Animal & Basket Sculpture Days to only my MailChimp publicity list in June I’ve so far received just under 100 bookings in under 3 weeks! All these bookings plus my recent teaching commitments has meant that I haven’t until today even had a chance to advertise my Willow Sculpture dates other than on my website or even get the publicity to Coates! Willow Animal – Friday 14th September & Thursday 4th October. Willow Bird – Friday 30th November. Willow Reindeer – Friday 5th October & Thursday 29th November. The simplest way to book your place is to go to www.sarahlebreton.co.uk/courses/, check availability and then click on the ‘Make a Booking Enquiry’ tab and fill out the form. Alternatively please email me at willow@sarahlebreton.co.uk If you prefer not to book by email do call me on 07905 342091. I really hope that these extra dates makes at least someone yell “yippee!” after initial disappointment over fully booked courses!